Recently Amazon also allows photographer to sell theirs work online. However, this co-operation is a huge step that helps low budget photographer presents their works without support from large publishers. Blurb uses its platform to help photographer create their own photobooks for sell. 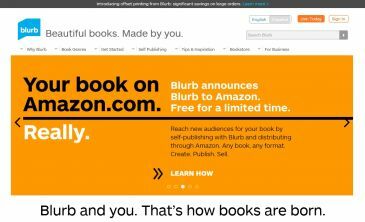 Blurb doesn’t limit quantity and if any photographer orders more than 300 copies Blurb will provide a place to stock all books as well.